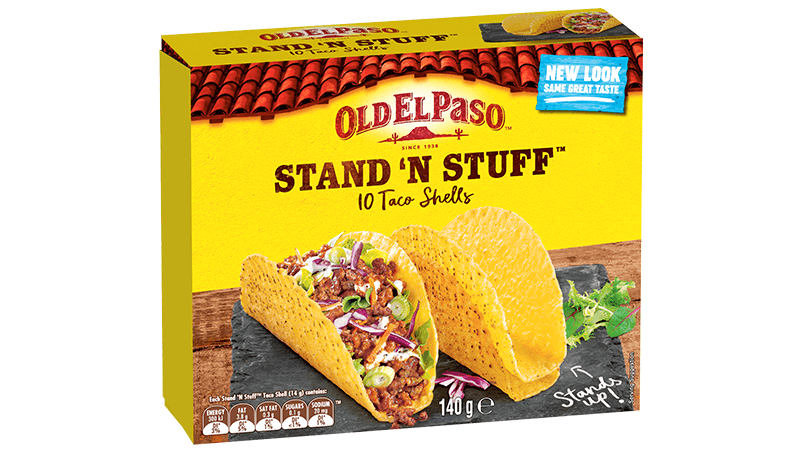 Stand ’n Stuff™ Taco Shells are deliciously crunchy, corn shells with a flat bottom, so they stand up. Much easier to fill, these tacos are the best way to have your favourite Mexican meal ready in minutes. Just add your favourite Mexican fillings for a Mexican fiesta everyone will enjoy!